Elegant yet modern in its style elements, this Munich features a colored translucent glass shade which lends itself nicely as an ambient parlor light as well as a directional reading or bunk light. The Munich features exceptional illumination and lighting quality with a comfortable color temperature & hue. 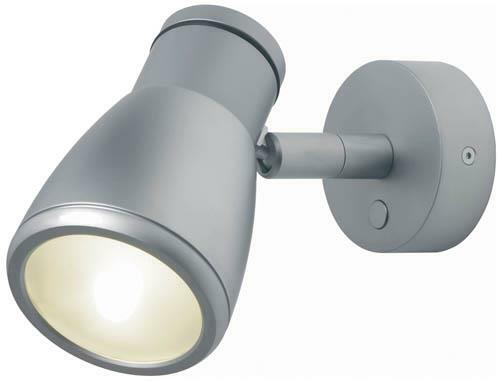 Furthermore, this fully dimmable fixture features a micro-pushbutton "soft-switch" conveniently located right on the fixture's base. Keeping your finger on the "soft-switch" will vary the light intensity to the desired setting. The intelligent built-in dimmer module also has a memory feature that recalls the last light level you set before turning the fixture off. This LED light functions on an input of 10-30 volts DC. 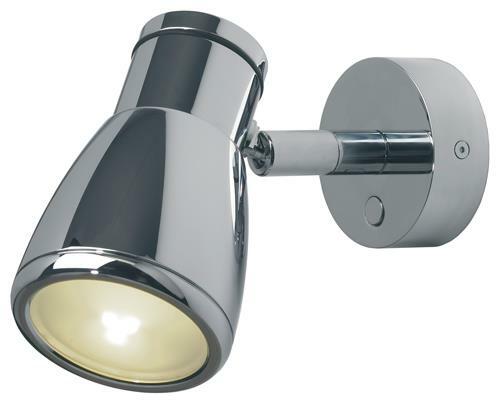 Chrome, Matte Chrome or Gold base finish with White, Titanium or Brown shade color options. 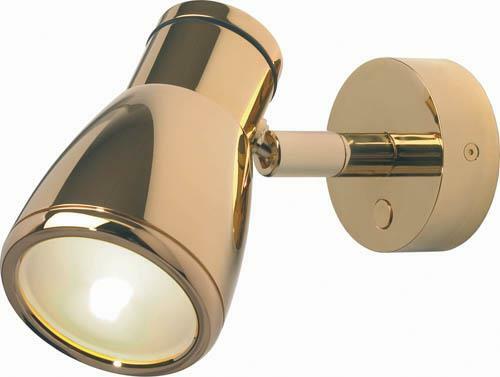 Chrome base with Chrome shade, Matte Chrome base with Matte Chrome shade or Gold base with Gold shade available.